Melodie has lived in an RV since 2008, but this day, the 57-year-old looks distraught as she gazes down the road: A new sign that prohibits the overnight parking of large vehicles has thrown her into a panic. Homeless individuals can avoid the dangers and discomfort of the street by living in their cars, if they have one. But they are subject to laws criminalizing the act. A San Francisco ordinance prohibits people from inhabiting cars from 10 p.m. to 6 a.m. Offenders can face a $1,000 fine or six months in jail. RVs and cars doubling as homes are scattered throughout the Golden State. A bill decriminalizing sleeping in cars passed the state Assembly last month, and sailed through a state Senate committee on governance and finance. It will soon come up for a floor vote. Locally, experts say many such occupants are working people trying to survive in the San Francisco Bay Area’s high-priced housing market. “We know there are hundreds of people, if not thousands living in their cars in San Francisco,” said Nicholas Kimura, a shelter client advocate from the Coalition on Homelessness. In fact, some of the homeless people his organization helps work multiple jobs, attend school and raise families within their mobile living spaces. 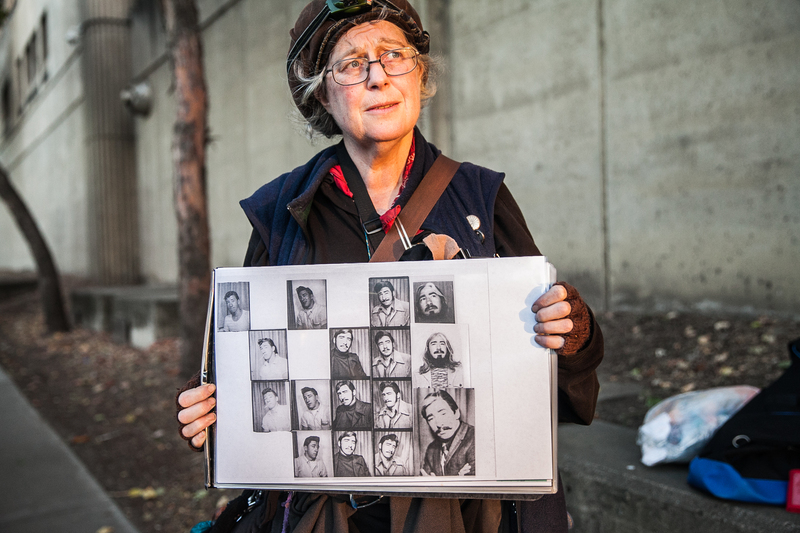 A homeless woman, going by the initials AQ to protect her identity, like Melodie, works a combined 65 hours a week, bringing in about $3,000 each month. She moved from Vallejo after an ex-boyfriend torched her family’s house in 2008. Now she works two jobs and maintains two RVs. Both jobs are conveniently a block apart. The 13-hour work days are not enough to move her, a boyfriend working as a day laborer and three dogs into housing. Her days start at 7 a.m. and end at 8 p.m. Sleep before 10 p.m. is essential to continue work the next day. Stress leaves her wondering how she will avoid police officers citing her for sleeping in the RVs. Gas for one RV plus maintaining the other is a constant worry. Fresh food is the only option without a refrigerator. 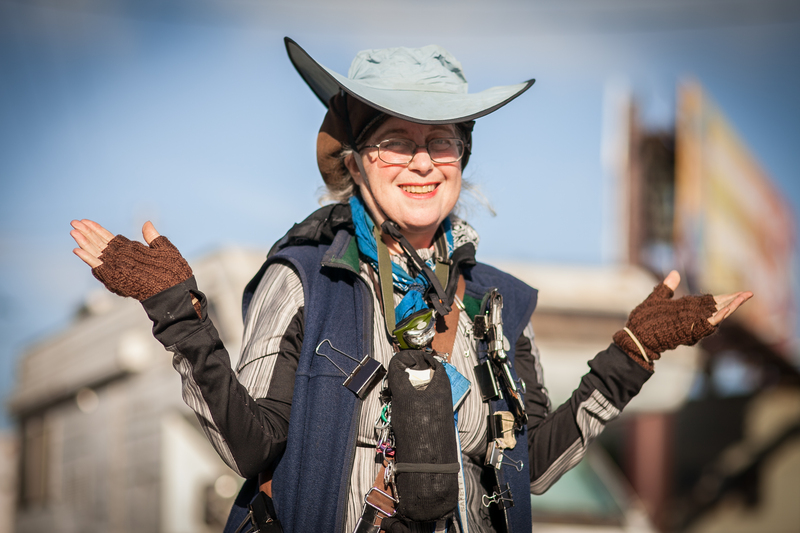 Melodie faces the same difficulties while living in her own RVs. She keeps one in a secluded industrial area. The cost of gas and repairs prevent her from moving any farther from the current location. New signs banning late night parking popped up on a Monday. The second RV is parked a mile away and her small, four-door car is close by. She receives disability checks, the result of a brain injury. The money is just enough to pay for monthly insurance, gas and a storage unit. She started taking computer classes at City College and volunteers for a nonprofit organization, helping distribute materials to artists. “Every time I get ready to leave to go to school, I just cringe, and then I have to brace myself, because every single day there can be a notice,” she said. Before becoming homeless, she worked a steady job. The traumatic brain injury and ADD affected her job and living situation. Now alone, she has difficulty sleeping due to the continuous roar of semi-trucks and other large vehicles passing at night. A law passed by the San Francisco Board of Supervisors in 2012 made it possible for a neighborhood’s residents to ask the city to restrict parking of vehicles 22 feet in length and 7 feet high in approved areas. The vehicle cannot be parked from 12 a.m. to 6 a.m. if a sign is placed on a street. Violators’ cars are subject to a towing. The legislation resulted from residents who complained that large vehicles consumed parking spaces. Melodie and AQ both are affected by the new parking restrictions and find themselves moving more. Parking specifically designed for their situations is a problem solver they think might be helpful. “Somewhere to park would be great where we’re not being harassed,” said AQ. The San Francisco Municipal Transportation Agency is aware of the potential conflictions between oversized vehicle restrictions and people living in vehicles, spokesperson Robert Lyles said in an email message. The ordinance is said to be an alternative to parking meters and other measures in areas needing restrictions. The department communicates with police departments to distribute warnings to vehicles possibly affected before signs are posted. The SFMTA cannot manage its own “safe parking,” but is interested in supporting future plans, he said. As the vote on the statewide bill draws closer, Brian Devlin moves his small mobile home around San Francisco’s urban frontier. Resembling a child’s playhouse, it features an insulated roof, windows and storage space. 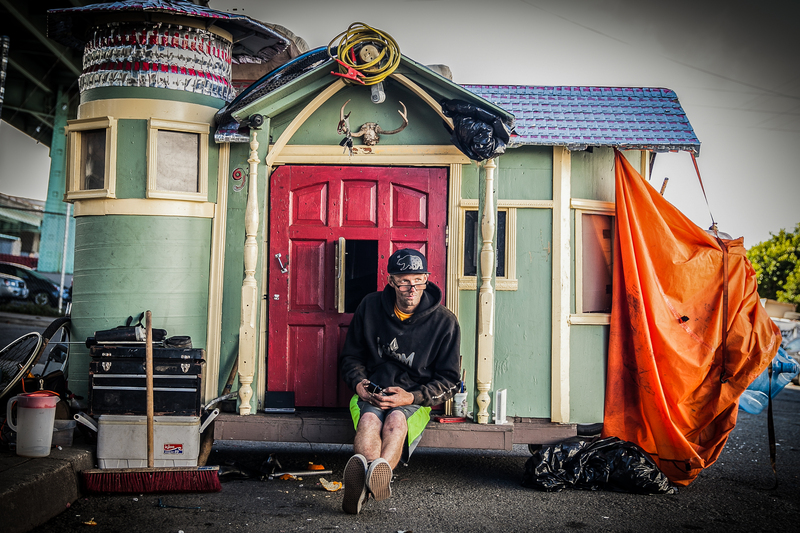 Oakland artist Greg Kloehn, who creates and donates other “tiny homes,” made it available. 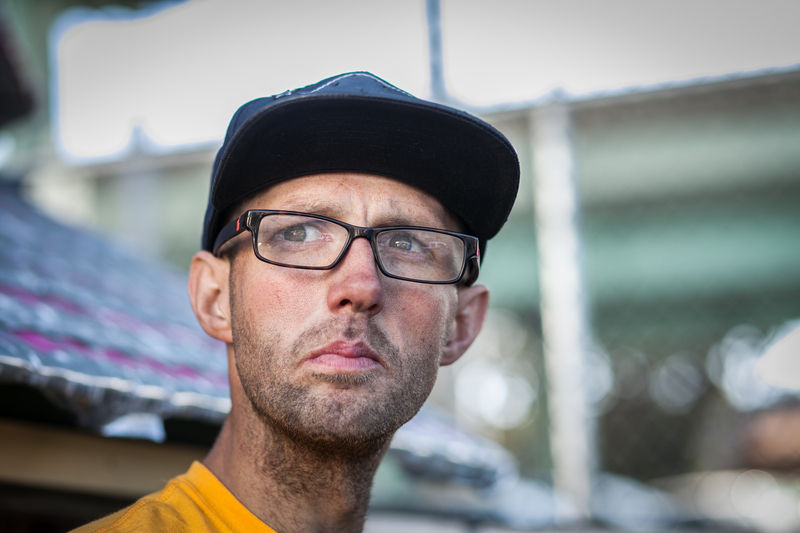 A clean and sober Devlin moved into San Francisco about three years ago and held a good-paying job. He soon relapsed, spiraling into drug addiction. He has spent the past three months drug free. On one summer day, he launched a new venture building motorized bicycles. Even with the laws pertaining to large vehicles and homeless people on the street, Delvin’s temporary home is a way around some laws. The local government is to blame for this problem since they didnt move fast enough to place restrictions on greedy landlords and investors. There are tons of new RV dwellers in my neighborhood in west Oakland. I have lived here 20 years and never seen so many. Im certain they have been evicted so landlords can get higher rents and cant compete financially. I would like to see the government use some tax dollars generated from the insane appreciation of real estate to pay for pota potties, trash bins and pick up around some of these areas and maybe even designate some super lame spots around the city like under some of our bridges as designated safe parking spots. Those of us with homes really shouldnt complain about how inconvenienced we are to witness people struggling to survive. Ticketing people and towing their homes and making it impossible to park is unethical. Take some responsibility for the mess Bay Area! Its sad but it wasnt nearly this bad 5 years ago. I would like to see vehicle dwelling legalized we are starting to resemble a third world country but its not because people dont try hard to have what others take for granted. This is something the average person may have to experience at some point not just mentally ill, drug addicts and criminals. Right, because these peole are so much better off sleeping on sidewalks or in jail for being homeless. These laws really blow me away. It’s the city’s misguided way of trying to gentrify the homeless out if San Francisco. Not only are they heartless and solve nothing, they make a bad situation so much worse. Because poverty should be illegal! Bow dare people be poor and take up curb space of People who live in himes in San Francisco. This entry was posted on July 28, 2015 by Bay News Rising and tagged Bay News Rising, Brian Devlin, Camper, City College, ekevara kitpowsong, Erasmo Martinez, Greg Kloehn, Gregory Kloehn, Homeless, living, Melodie, park, parking, RV, San Francisco, SFMTA, The San Francisco Municipal Transportation Agency, Tiny home.